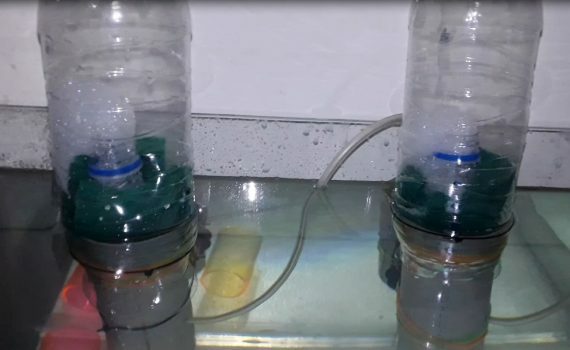 Building cheap Protein Skimmers, Total cost for making one skimmer is Rs. 200/-, the only issue in DIY skimmers is that these skimmers are not leak proof, the skimmed goes back in the sump. There are much more that we can do than the DIY Protein Skimmers in this hobby. This is just a start. DIY just help in bring down some costs. This is an easy build, if some silicone be applied to the base we can stop this from leaking. But yes you can try making this at home as only things used in this build are PVC pipe, plastic bottles, wooden air stone, air pipe and air pump. The time taken for building something like this is 20 min, It might be beneficial for small nano tanks as we would require bigger material for bigger tanks. A great new learning for me in and I hope you would also try on some DIY method in your hobby. I would love to hear about your DIY’s in the comment section. It would be a great help knowing more about what we can do.